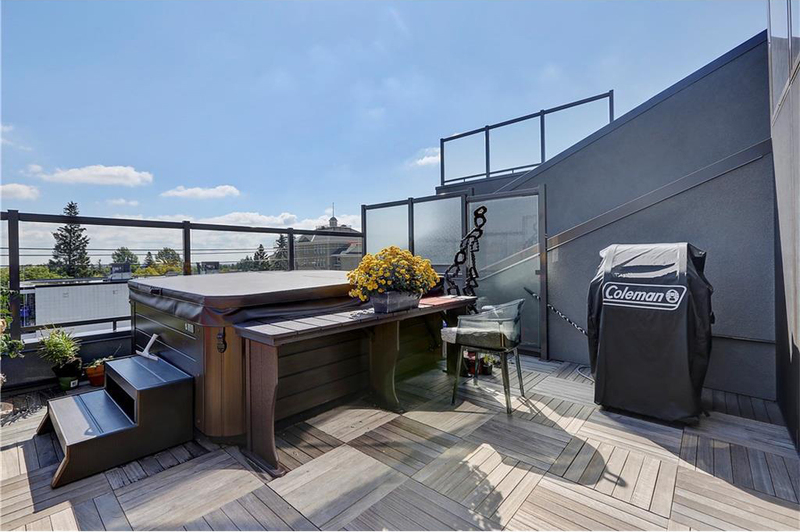 It has a 570-square foot rooftop patio. Built in 2012, this two-storey townhouse is a newer addition to the South Calgary neighbourhood. 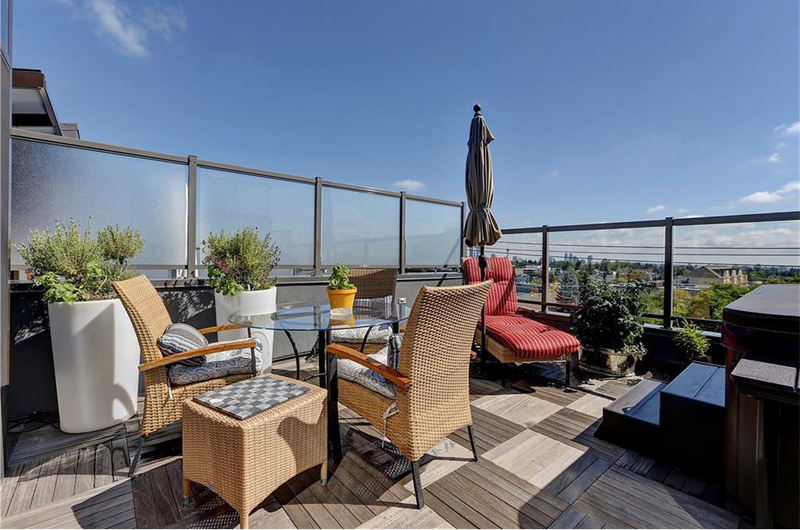 2929’s 570-square-foot rooftop deck includes a hot tub, views of downtown and an enclosed sunroom and kitchen. This outdoor space is ideal for a sunset cocktail party or afternoon barbecue. 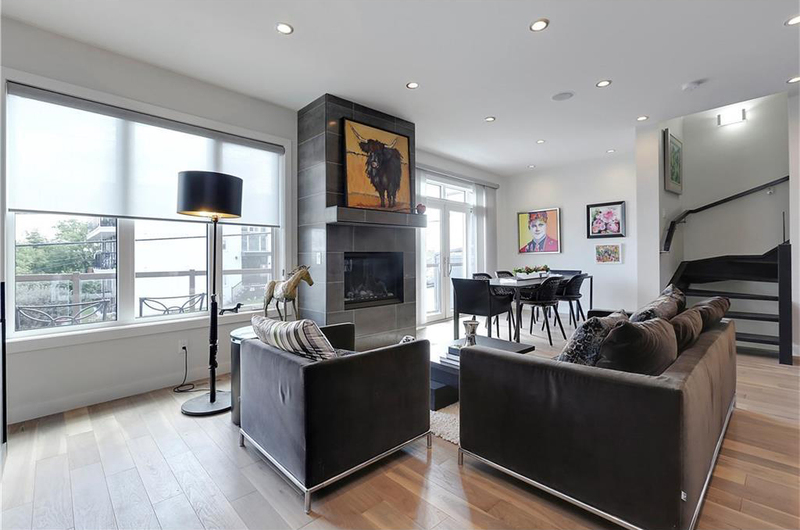 Inside, the townhouse has multiple modern touches including a gas range, wine fridge, two fireplaces and its own elevator. 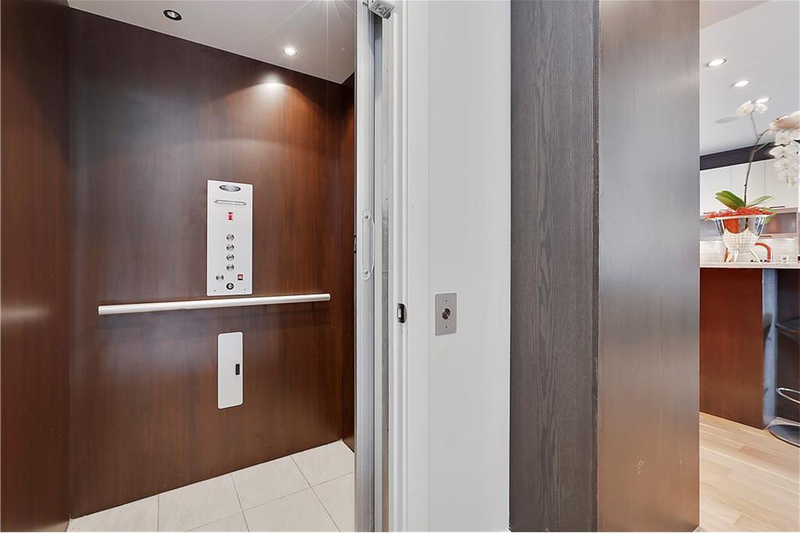 It may be hard to take the stairs when you have you’re own elevator. Luckily South Calgary has many parks where you can get your cardio instead. 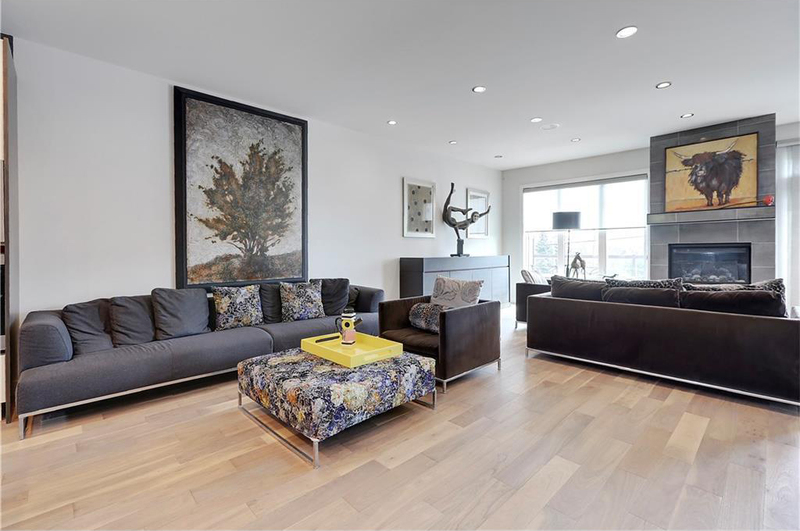 Listed for $950,000 with realtor Sam Corea. The rooftop patio has downtown views. The 570-square-foot space has room for a hot tub. 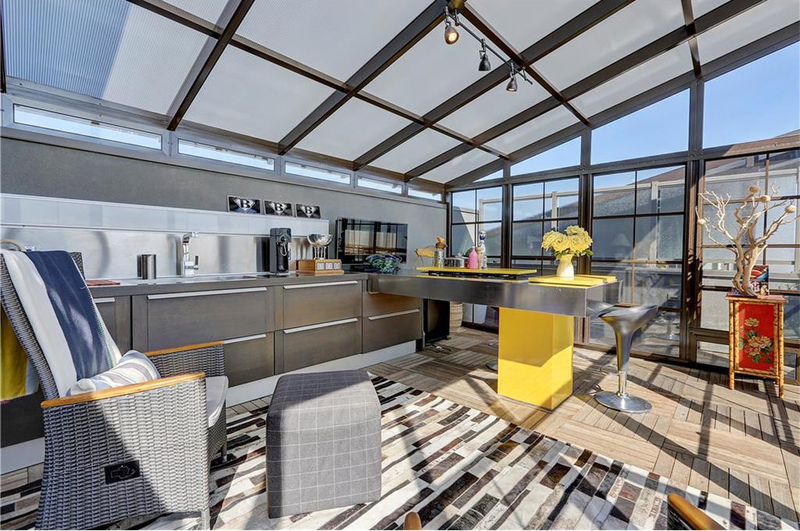 The rooftop includes an enclosed sunroom and kitchen. The open concept main floor has a fireplace and a deck. The living room has space for two separate seating areas. 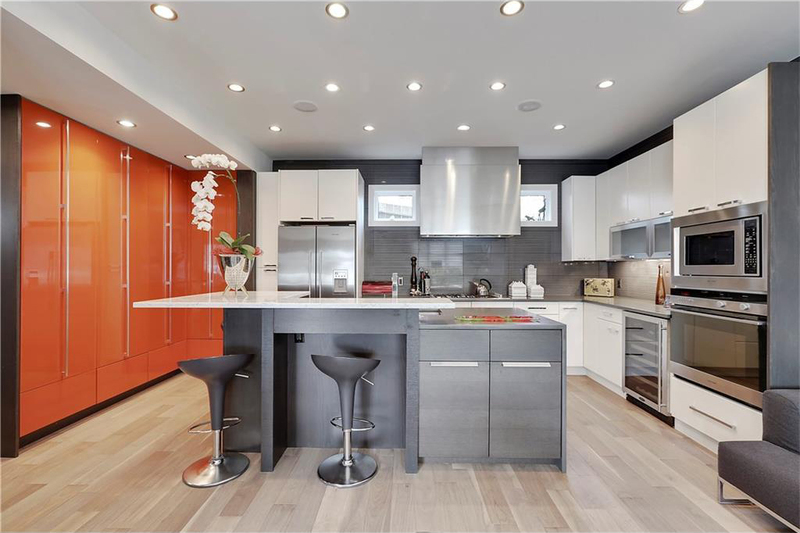 The kitchen has a raised marble breakfast bar and stainless steel appliances including a gas range and wine fridge. It has an elevator just off the kitchen. 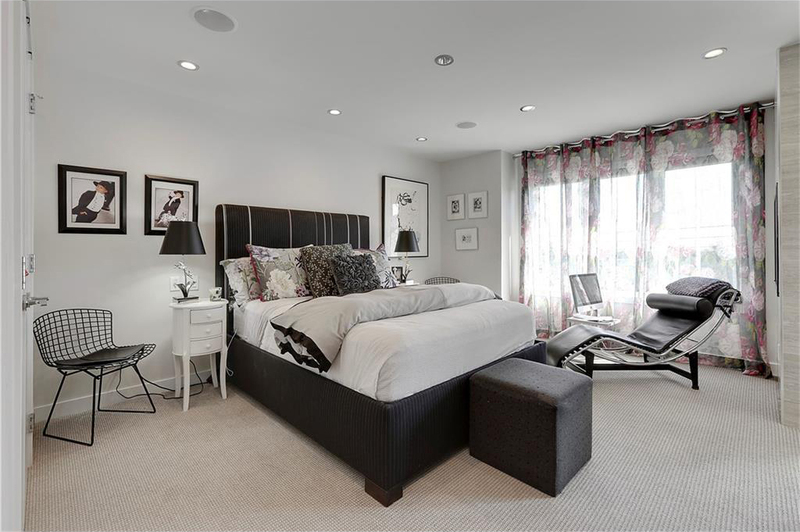 The master bedroom has a walk in closet and a two-sided gas fireplace. 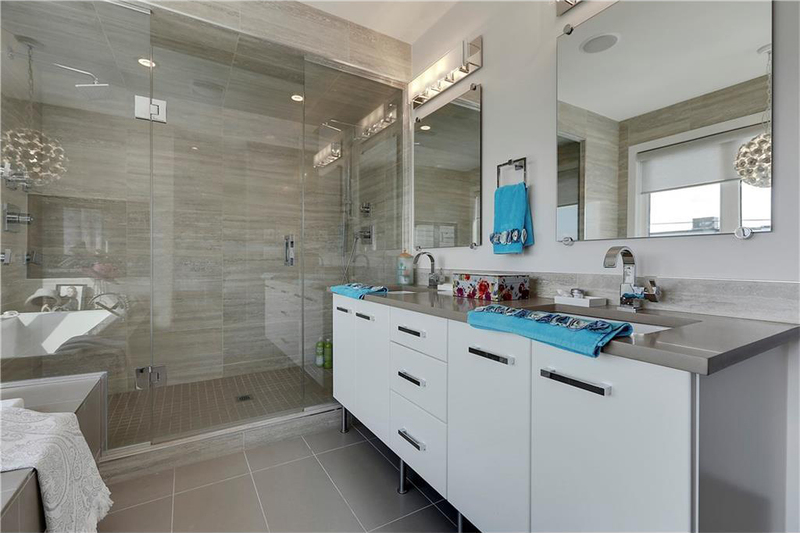 The 5-piece master bath has heated tile floors and a multi-head shower.